Bulverde/Spring Branch Has A High Demand for Quality Healthcare Services. There’s a high demand for quality healthcare services in the Bulverde/Spring Branch area due to our rapidly growing population and diverse mix of young families and aging adults. Residents enjoy access to several healthcare, therapy, chiropractic and wellness facilities as well as our very first Emergency Room, Physicians Premier ER. In addition, a diverse array of healthcare professionals provide high-quality care, including physicians, specialists, dentists, pharmacies, senior care providers, chiropractors, dentists, and more to meet the demands of a rapidly growing community. The health care industry in Bulverde/Spring Branch continues to expand with plans for additional medical office space to meet the needs of an increasing population. The demands of a growing population, along with an educated, motivated and substantial talent pool, make Bulverde/Spring Branch an ideal strategic location for healthcare and bioscience services to thrive. 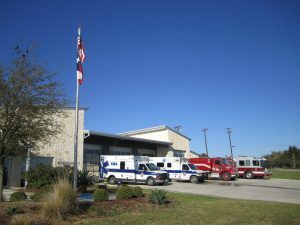 Bulverde Spring Branch Fire & EMS serves Western Comal County, a 216 square-mile area, and provides advanced life support (ALS) prehospital emergency care. It is the most award-winning and decorated EMS-based fire service in the State of Texas. In fact, in 2014 at the Annual EMS Conference, Bulverde Spring Branch Fire & EMS was selected as the EMS Provider of the Year for the second time in six years! The selection was made by the Texas Department of State Health Services (DSHS), which is the licensing agency for more than 871 EMS providers in the state of Texas. The award honors a ground or air EMS organization that demonstrates leadership in patient care, public access, medical control, disaster preparedness, public education or training. Per DSHS, BSB Fire & EMS exemplifies the best that EMS/trauma has to offer in Texas. There are 3 stations strategically located throughout our area to minimize response times. The Central Station is headquartered just off US 281 north of SH 46 on Rodeo Drive. This 18,000 sf. state of the art facility allows for collaboration among fire, EMS and police service agencies. One entire wing of the structure is dedicated to EMT training, (basic and advanced) for many of the area’s rural EMS & Fire organizations. The Central Station has an open door for our community’s needs, such as meeting facilities, and is a host clinic site for low-socio economic patients. 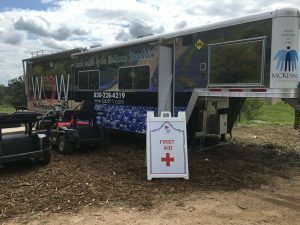 They also have a Wellness on Wheels Mobile Clinic that connects them with the isolated who are in need of assistance. ​The vision is to reach well beyond our area by providing training, education, and labs to the southwestern portion of the United States. The Centre for Emergency Health Sciences is also located within the Central Station and brings dramatic results to a large region, serving as a unique place to receive certification in critical care skills and procedural anatomy. It also provides a place for medical professionals to conduct research, practice techniques, and test theoretical procedures in cooperation with the University of Texas Health Science Center. In addition to provider training, BSB Fire & EMS offers a high school anatomy program and junior crew, which was initiated for young adults aged 14 to 20 as part of the Scouting Explorer Program, which introduces students to fire, EMS, police and medical careers. For more information about Bulverde Spring Branch Fire & EMS visit their website at http://www.bsb911.com. Physicians Premier ER, located right here in Bulverde just .6 miles west of US 281 on SH 46, is a freestanding ER, not an urgent care, designed to accommodate the growing demands of the Bulverde community for 24/7 emergency care. A fully-equipped facility providing the families and workforce in Bulverde with efficient, high-quality emergency medical care. This facility offers the same services that a traditional hospital based Emergency Department offers with in-house labs for a faster turnaround time in getting the results, in-house pharmacy that includes all conventional medications used in the emergency room setting to treat a variety of emergency conditions such as medications to treat heart attacks and strokes (time is muscle and the faster these treatments can be started, the better the patient outcome), and CT, X-ray, and Ultrasound on site (their staff is experienced in performing all imaging studies needed to rule out or diagnose life threatening emergencies). In addition, Pysicians Premier has equipment available to manage critical patients such as an advance ventilator that has the ability to perform BiPap/ CPap/ as well as to manage intubated patients, cardiac monitored rooms to closely observe patients for any cardiac changes, and multiple portable options to include telemetry capabilities to do the same, all the necessary equipment that would be needed for patients that may have difficult airways inclusive of video guided devices, various different styles of advanced airway tools, as well as, cricothyroidotomy sets, and central line ability as well as EZ-IO for patients that are in need for immediate medications and are hard to get a peripheral intravenous access started. Physicians Premier is staffed by board-certified ER doctors and specially trained medical staff who have years of Emergency Room experience. In fact, 80% of their physicians are Board Certified in either Emergency Medicine or Family Medicine. Their physicians are required hold certifications in Basic Life Support, Advanced Cardiac Life Support, Pediatric Advanced Life Support, and Advanced Trauma Life Support which are standards of our own that are above and beyond the minimal requirements of the state. They staff only Emergency Room trained Registered Nurses, not Licensed Vocational Nurses or Certified Medical Assistants, and their nurses have all worked in the traditional Emergency Room setting plus they have experience with handling multiple critical patients at one time. Most of them still work in the hospital ERs. The state requires our nursing staff have Basic Life Support, Advanced Cardiac Life Support, and Pediatric Advanced Life Support and in addition to the state requirements, Physicians Premier requires their nurses to also have a Trauma Nursing Core Course. Their radiology staff hold certifications in Basic Life Support and although it is not required, they also have their radiology staff participate in Advance Cardiac Life Support courses to improve the team dynamic of managing critical patients. 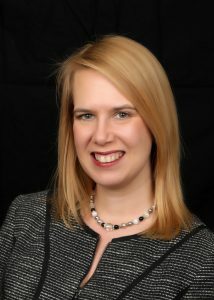 Physicians Premier aims to be a better option to crowded hospital emergency rooms. Combining quality ER experience with superior emergency medical care, they offer quality treatment with minimal to no wait times. This 900-acre district is a major hub of health care, education and research. This Medical Center includes the University of Texas Health Science Center at San Antonio, 75 medically related institutions, more than 45 clinics, 12 major hospitals and countless private practices, offices and non-medical businesses.